After seeing amazing result from Flawless First Rejuvenating set (click here for my video review), I braved myself and used the Gluta-C skincare set immediately. Though, I don't recommend this practice because our skin needs rest and recovery. There should be (in my personal opinion) at least one week interval before using another brand. Since I am your human guinea pig, plus I am honestly excited hahaha, I used Gluta-C products right after. 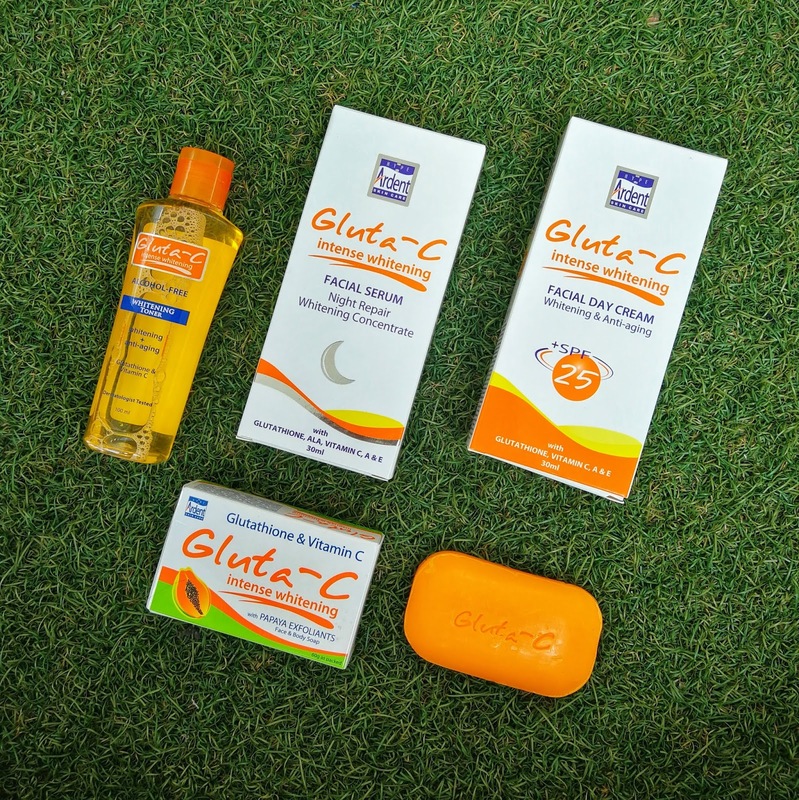 To be honest with you, I am super impressed with the packaging of all Gluta-C products. Not only they are really eye-catching, they are also printed with amazing information that you need to know about each products. 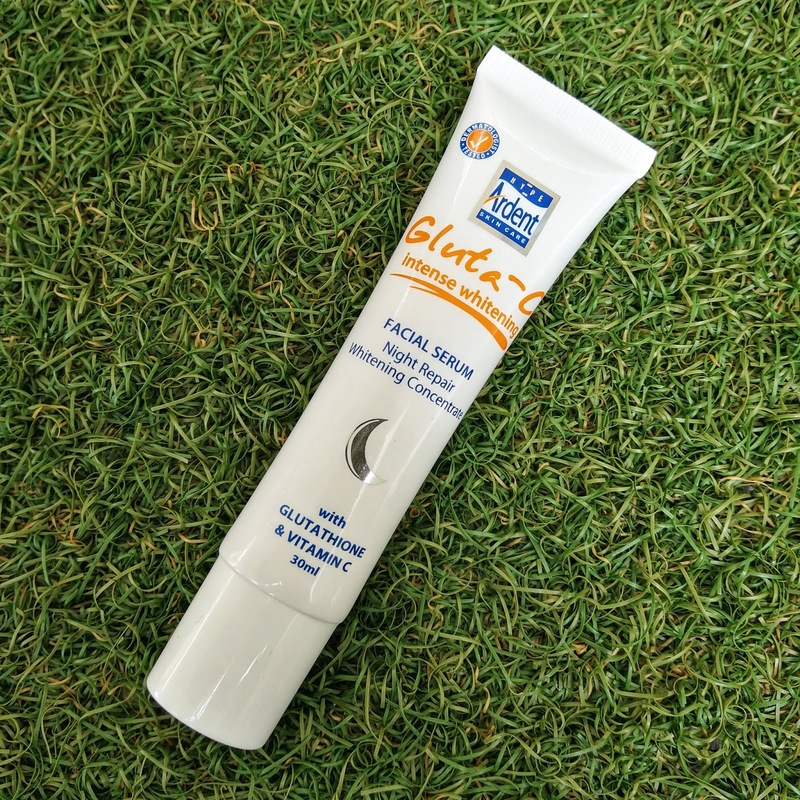 I personally love reading product description before buying so my highest salute to Gluta-C for disclosing relevant information on the packaging. 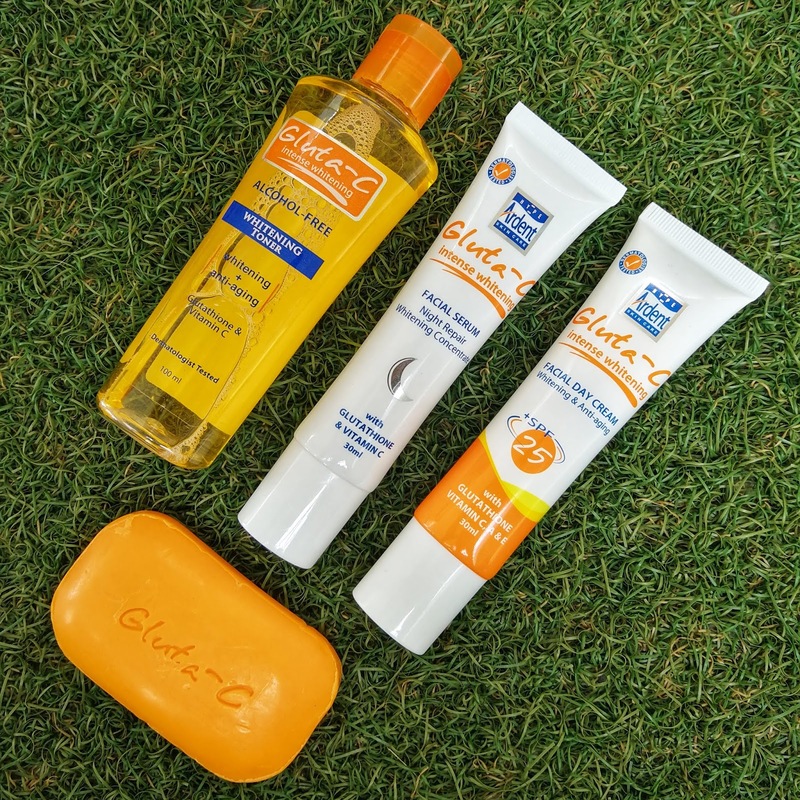 When you open one product, you know it's Gluta-C because they have uniform fragrance. And speaking of fragrance, I SUPER love the scent of these products because it's so captivating and it smells—pang mayaman talaga. The fragrance can instantly boost a person's mood because it delivers good vibes. This is what I use to wash my face day and night. What I like about this soap is, it is not drying and it didn't cause me acne breakout. In fact, it helps in controlling acne buildup on my face. After cleansing, the second step is to tone my face. Not only it improves skin texture, it also removes excess oils and dirt on my skin. What I like about this toner is this alone is moisturizing. 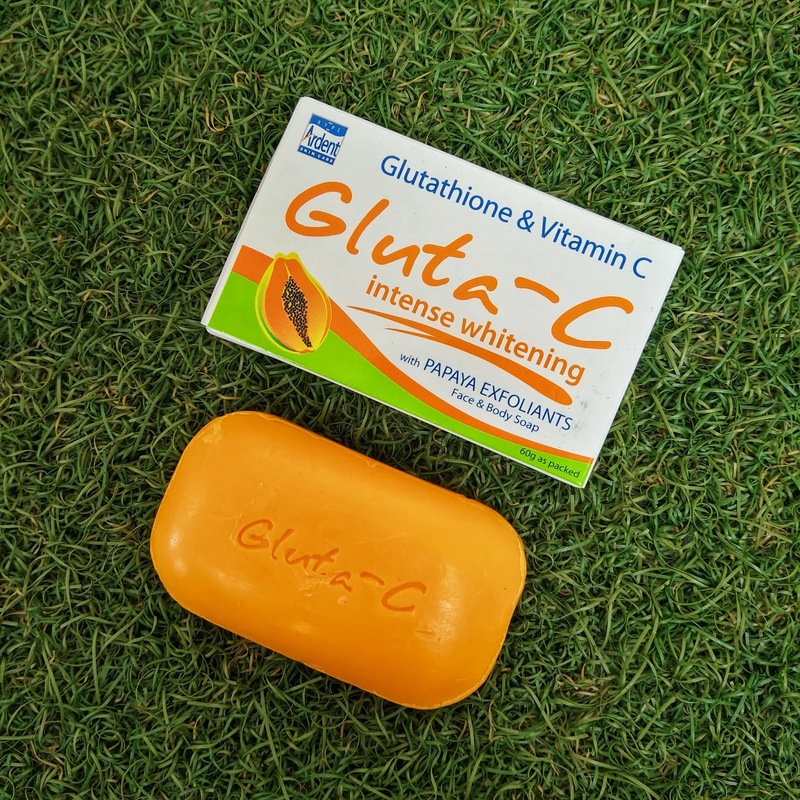 The Gluta-C toner is alcohol-free so it is safe for sensitive skin. 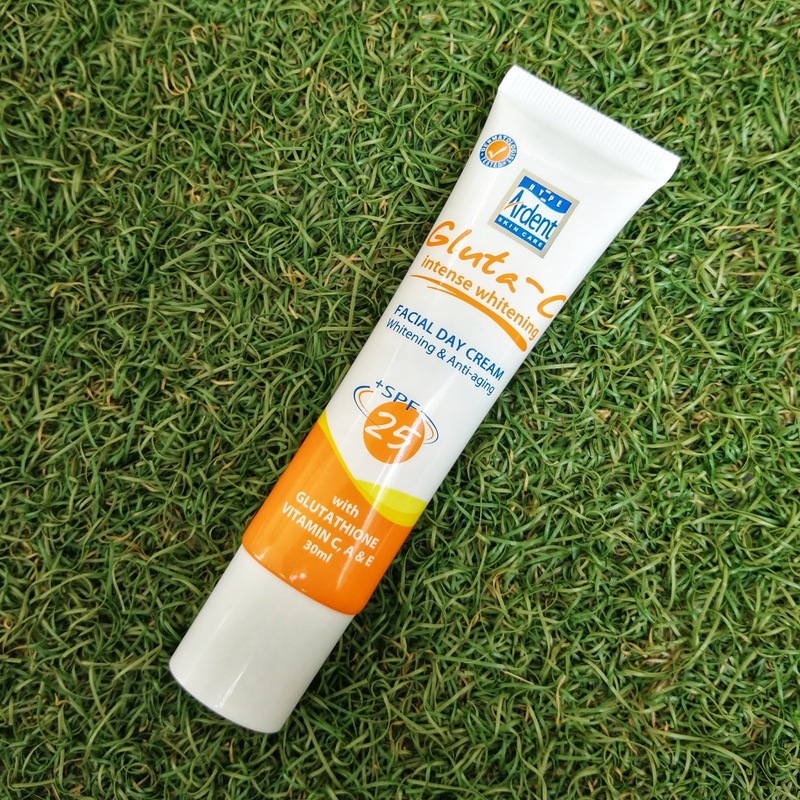 This is a perfect partner if you are always on-the-go because it doubled up as whitening cream and sunblock in one. It is enriched with Vitamins C, E and Shea Butter to deeply nourish and hydrate the skin. This one is super moisturizing but it's not heavy. The product dries up quickly and it has a demi-matte finish. After using this set for few weeks, I noticed a more glowing and pimple-free skin. 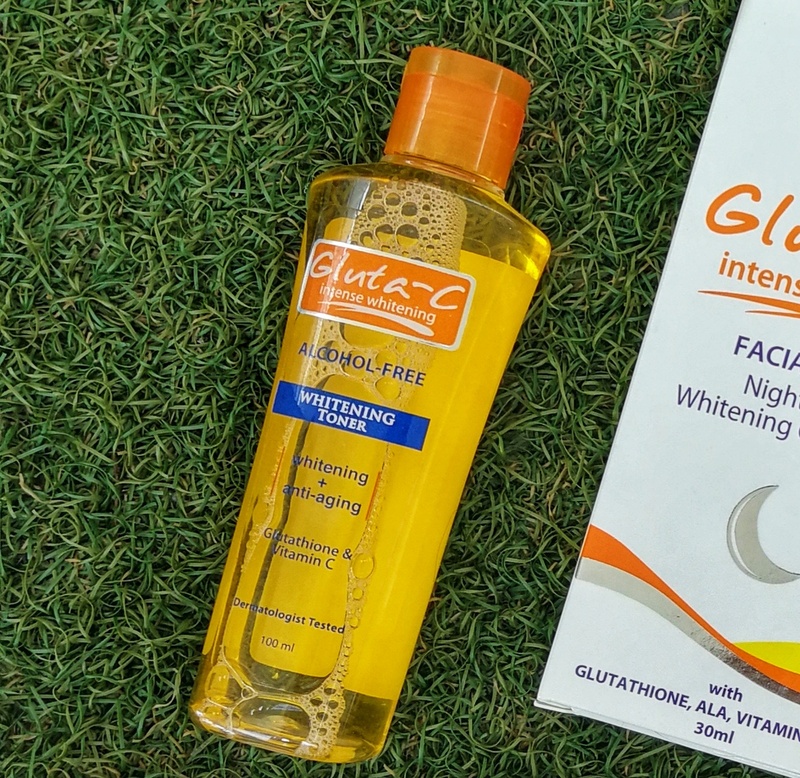 It is not the fastest in terms of skin whitening but it can be your perfect partner if you have acne-prone skin and you want to achieve lighter and glowing complexion.